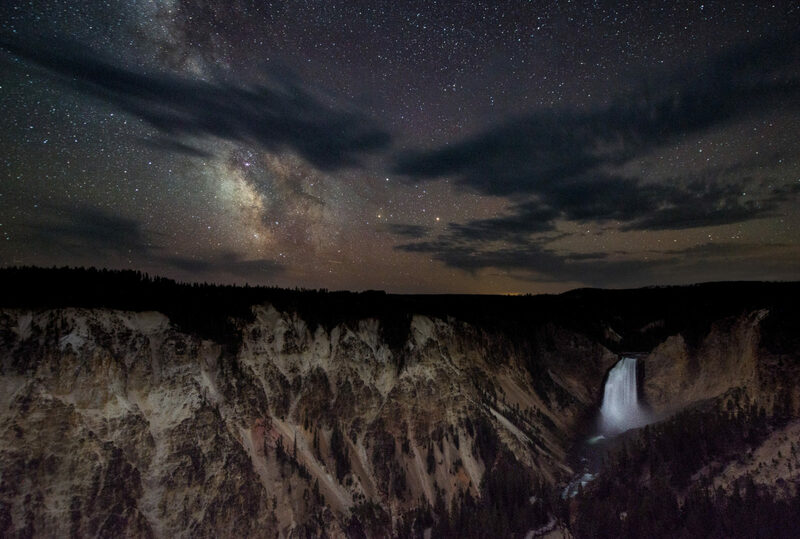 Yellowstone Falls in August 2016 during the Aquarid meteor shower which is the precursor to the persaid showers. The aquarid meteors originate in the southern sky so I was hoping to catch one but they are not nearly as frequent as the persaid. So alas no meteor. Clouds started to roll in add some additional drama. Shortly after this shot, heavy cloud cover blocked the milky way.